Does every conversation with your co-parenting partner end in drama and threats? Do you feel helpless to protect your children from the fallout of an angry, arrogant parent? Does your co-parent create constant stress and disappointment that leaves your children hurt and confused? No commitments. You can cancel any time. Susan Stiffelman is the author of Parenting Without Power Struggles, Parenting With Presence (An Eckhart Tolle Edition) and the weekly parenting advice columnist for The Huffington Post. She is internationally regarded as one of the top parenting experts in the world, blending conscious parenting principles with highly practical strategies to make raising children easier and more joyful for parents and children. Susan understands the challenges and complexities that come with parenting with a highly self-absorbed partner and delivers support that can make a real difference in parents’ lives. In this monthly coaching group, she brings decades of experience to the topic of co-parenting with a narcissistic partner–whether currently married or divorced. 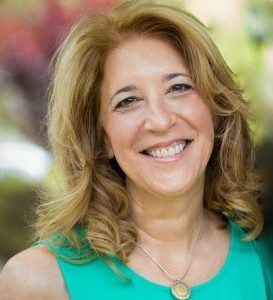 Wendy Behary is the founder and director of The Cognitive Therapy Center of New Jersey and The New Jersey Institute for Schema Therapy. As the author of “Disarming the Narcissist,” Wendy has a specialty in treating narcissists and the people who live with and deal with them. As an author and an expert on the subject of narcissism, she lectures to professional and generalaudiences on schema therapy, and the subjects of narcissism, interpersonal relationships, anger, and dealing with difficult people. Wendy’s private practice is primarily devoted to treating narcissists, partners/people dealing with them, parenting issues, and couples experiencing relationship problems. Susan and Wendy will host a live, interactive coaching call once each month. Ask questions, and if you choose, join live on screen for personal coaching. If you can’t attend, you will be able to submit questions in advance. Each call is recorded, so you can watch it whenever you like. We have strategically designed the program to benefit parents of children of all ages–toddlers through teens. The Q&A calls welcome any and all parenting questions. What if I can't make the Coaching Calls? Call times vary so that no matter what part of the world you live in, you’ll be able to attend some of the sessions in person. However, there will be a replay of each call available in your member portal so you can watch any time at your convenience. You can also post your questions in advance for Susan and Wendy so you can tune in to the replay for personalized guidance. The webinar you and Wendy on co parenting with a narcissist did was life-saving. I have been divorced for a long time but am still raising two children with my ex-husband who has made life as difficult as possible for me. What I learned from you both has made a huge difference in my ability to stay business-like and keep the focus on our children. I can’t thank you enough for these sessions and hope you will keep offering something for those of us desperate for help! K.B. I have learned so much about dealing with narcissists from these classes. Not only is life easier with my narcissistic husband, but also with my mother, who fits the category. (History repeats itself!) Please keep up the good work! There is nothing else like this out there for parents needing this kind of information. Thank you so much! T. S.